Looking for stunning artificial plants or green walls? Designer Plants offers exceptional customer service through design, customisation, installation and supply of artificial (fake) vertical gardens and faux plants. We have specialised in artificial green walls for 8 years, and have assisted clients from homeowners looking for stunning greenery through to large multi-national developers, designers, landscapers and commercial fit-outs. Wanting something temporary? We also can assist with home staging, events and hire. Award winning interior design company PMG Design has been designing and decorating for Melbourne residential and commercial clients for over 18 years. Along the way we have built a reputation for offering a personalised and friendly design service that embraces our clients' personal tastes and living/working requirements whilst adding our own creative flair. Allow us to bring your home, commercial or retail space to life with our fresh perspective, our wealth of experience and our passion for all things design. VMDesign is a boutique Interior Design & Decoration studio specialising in personalised solutions designed for you. We will listen to understand all your expectations and needs then consider this information when planning creative solutions. With mindful attention to space, style and function we craft Interiors that are reflective of you. To compliment our design philosophy, we have carefully selected a network of workrooms, craftspeople and tradespeople to ensure the successful outcome of your project. We can't wait to meet you. 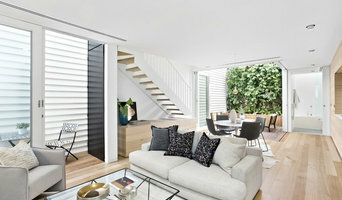 Indigo Interior Design is a freelance interior design business providing a personalised and unique service to residential clients in and around Melbourne. ___ Chelsea Simpson is the owner and creator of Indigo Interior Design. She lives in Melbourne with her husband in their renovated 70's brick veneer house (featured below). Drawn to creative fields from a young age, Chelsea would spend her high school lunchtimes in the Art Department always drawing, painting making and creating. This led to completing a Cert IV Course in Applied Design and following that, a Diploma of Interior Design and Decoration in 2007. From here, Chelsea gained experience working in all aspects of interior design, especially working as an appointed colour and design consultant for clients of volume and custom design builders in Melbourne. Aspiring to put even more of her personal touch on her designs, in 2013 Chelsea launched her own business. Indigo Interior Design was then created. Chelsea loves bringing the design visions of her clients to life. Constantly striving for them to feel comfortable, content and inspired in their own homes. Adding personality and embracing sentimental pieces to become talking points within their interiors are two of the most important elements she likes to achieve in her clients' homes. Her design style always inherits strong elements of colour, texture, contrast, light and continuity. When she is not busy with clients, you will find her wandering the streets of Melbourne and surrounding local suburbs, attending design fairs, meeting with her industry professionals and constantly finding inspiration for her designs wherever she can. Melbourne-based interior design consultancy, Ferrari Interiors, creates stylish, practical and affordable interiors for residential and commercial clients. 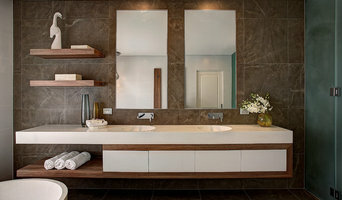 From contemporary kitchens and stylish bathrooms, to blissful bedrooms and outdoor havens, we design environments that reflect your unique personality and lifestyle. Ferrari Interiors manages projects of all sizes, from new builds and full-scale renovations to organising custom designed shutters and providing colour consultations. At our initial consultation we’ll have a chat to you about your goals and objectives so we can tailor a creative design solution especially for you. This may incorporate building, structural changes, renovations, flooring ideas, furnishings etc. We have excellent relationships with suppliers and access to showrooms that are closed to the public, so we can source furniture and accessories that perfectly reflect your unique personality and lifestyle, as well as pass on great cost savings to you. My back ground is Graphic Design and Visual Arts. I have used my flare and knowledge in these fields in recent years to begin a life of Interior Decorating. From visualising the space through my clients eyes, I have developed a business that achieves great design and layout to reflect my clients personality. I love getting to know my client, to see how and where they live. I instill confidence in my clients to push their inhibitions to achieve an optimum result. I have worked on a range of projects, from simple Colour Schemes to lift a space, internally, or externally, to Renovating and styling Apartments City based. My main focus is Clients homes. Completing their space with everything from colour through to furniture, art, lighting, rugs and accessories. 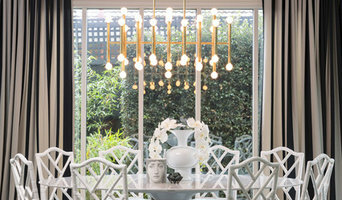 South East Styling Co. is a boutique Interior Styling & Design firm based in Melbournes South East. Victoria is the owner, director and head stylist. She personally oversees each and every installation, to ensure no details are missed and every opportunity is maximised to achieve the best possible result for her clients. A true believer of ‘happiness starts at home’, Victoria loves creating beautiful spaces, that are both lovable and livable. 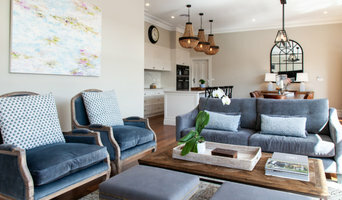 Real Estate Styling: As a qualified designer and local to the outer South East Melbourne area, Victoria has the skills and experience to help with all of your sales preparation requirements. Knowledgable in Real Estate and buyer demographic, we can transform your property into a buyers dream home. Interior Design & Decorating: Offering a friendly & knowledgeable approach to design, Victoria works together with her clients, listening to their needs to ensure she has a thorough understanding of the results they desire. With a range of flexible services available, our design packages can be tailored to suit just about anyone. 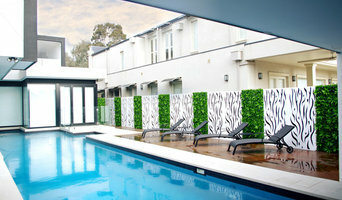 Established in 2010, Concept Design Colour Finish is a Melbourne based boutique interior design & decoration studio. Our interior designers and decorators are qualified professionals who are committed in creating beautiful, functional spaces which reflects on our client’s personality and style. We believe a successful design not only has to look amazing and be the envy of all your friends, it needs to fit in with your lifestyle and provide enjoyment for years to come. Let us 'listen' to you along the design process and create a space which is specifically tailored to you and your lifestyle.